Beautifully written with a sensitive approach to God's compassion, this small book is perfect for those in need of hope. John Piper shares ten beliefs he brought with him to hospital, and ten lessons from his hospital bed. With deep pastoral insight, practical wisdom and sensitivity, he encourages others in hospital to look beyond their circumstances. This can be a deeply meaningful time in which to draw from God's wisdom, trust him and rest in his love. Lessons from a Hospital Bed by John Piper was published by IVP in March 2016 and is our 26223rd best seller. 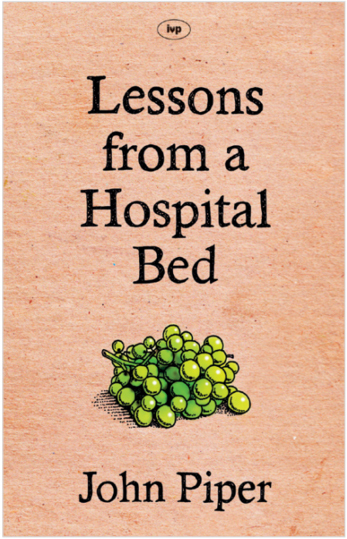 The ISBN for Lessons from a Hospital Bed is 9781783594238. I was recently sent this booklert while in hospital and found it extremely helpful. Each section is short - just what you need when longer-term concentration is difficult after an operation, but pithy and practical. Got a question? No problem! Just click here to ask us about Lessons from a Hospital Bed.